Having a baby is an amazing experience and taking proper care of your little one is your paramount priority. We have all heard the saying that it takes a village to raise a child but we are often astonished by the great amount of gear that we need as well. 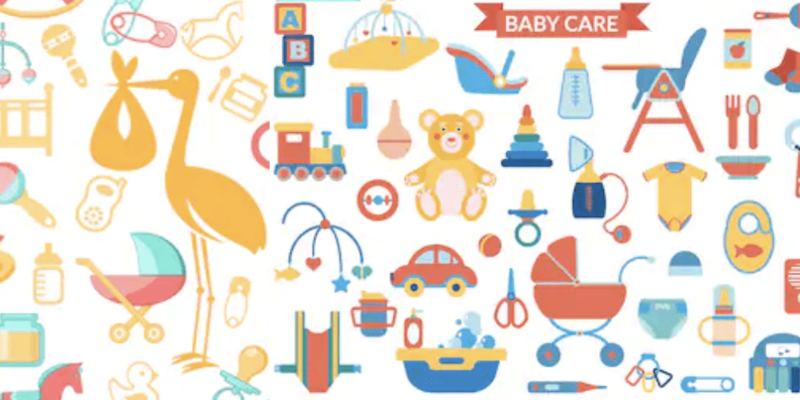 While there is a lot of stuff that we buy or receive as a present and never use or figure out why we need to do it at all, there are a few essentials we cannot skip – diapers, food, clothes, stroller, a safe car seat. 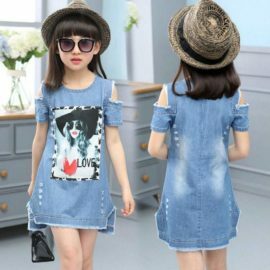 Any addition to that is the personal choice of the parents when it comes to design, colors or even the necessity of the item. There are, however, a few baby supplies that are meant to make the life of the parent much easier. Most of them are quite unusual and the chances are, you might not even know about them unless a friend recommends them. We have selected 11 items that you can find on our website that aim to make raising your baby funnier and easier. We know that babies love pacifiers and toys and these are two of the best things to calm them down beside their mommy. Our baby animal pacifier offers the cutest combination ever by putting these two items together. To enhance the benefits, you get a hospital-style pacifier attached to a cuddly toy. Thus, it is easier to locate the pacifier day and night. In addition to that, your baby gets a cuddly stuffed animal toy to play with. The baby animal pacifier works towards developing their motoric skills and babies soon learn how to put the pacifier back in their mouth by themselves. Both the pacifier and the toy are made of baby-safe materials. The pacifier is made of food-grade silicone and is the best option for your baby. The baby animal pacifier helps your baby be more creative and independent from a very early stage in their life, while you are calm that they are safe with their new gadget. One of the nightmares for every parent is when their baby is sick. Measuring their temperature is one of the challenges to face in order to react quickly and adequately. Using the baby pacifier thermometer with LCD display is one of the easiest and tender ways to get a precise measurement. Children may be scared by the thermometer but this soothing pacifier-style thermometer allows you to take the temperature in a comfortable and non-invasive way. It will be ready in approximately 90 seconds and beep to indicate it. In addition, the thermometer will glow red to indicate if there is a fever. The reading is in Celsius and Fahrenheit. 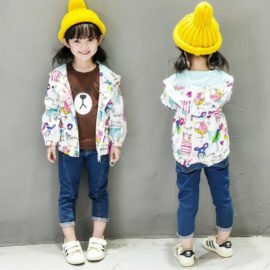 It is a one-piece construction made of baby-safe and non-toxic materials. The pacifier is made from BPA-free plastic and can be used for children up to 5 years of age. The LCD display makes the reading quite easy even in the night. Giving your baby their medicine may be quite a difficult task. The baby won’t like to take it, you may feel broken from trying to enforce it into their mouth and end up spilling it all. Do yourself and your kid a favor and grab the baby medicine dispenser right now. It makes it easy to administer medicine through pacifier – when the baby takes it in their mouth, their natural suckling reflexes are activated and they easily take it. The medicine dispenser is made of baby-friendly materials and comes in two colors – pink for girls and blue for boys. It is indeed a useful gadget to have around as it takes out the stress of administering medicine and helps your baby get better quicker. Another challenge faced by most parents is making their kids eat. Quite often you need to be quite creative with your ideas, and then also have to clean spills and stains from all over the house. If this scenario sounds familiar, then the smiley mat – less mess product is the answer for you. The smiley mat is a plate and place mat at the same time. 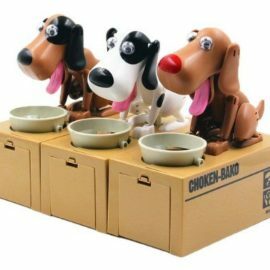 It suctions to any flat surface, which means your kid will have a hard time to move it and spill the food. The mat is divided into three compartments formed in such a way to tempt your child to try the food. You can serve three different types of food and let your little one enjoy eating. Some of the benefits of the smiley mat are that it promotes self-feeding and helps develop fine motor skills. The greatest advantage for the parent is that it helps prevent messes. The mat is made of food-grade BPA-free silicone and is very easy to clean. You can wash it by hand or put it in the dishwasher. It is also microwave and oven safe, which also facilitates its usage. 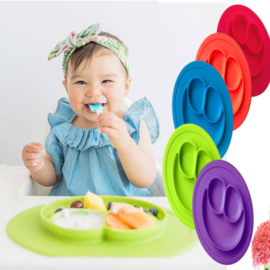 Do you want to offer your toddler the option to self-feed and even walk around with a bowl in hand without any spills? I guess your answer is yes, provided that you do not have to follow them with the brush. The universal anti-spill bowl is a revolutionary product designed by parents for parents, which is simply fabulous. It uses an innovative 360-degree gyro technology for a rotating inner bowl that keeps the contents safe inside. As a result, you do not have to clean spills and messes after each meal. Your toddler can even walk around the house carrying a bowl of snacks without any of it falling on the floor. The anti-spill bowl is made of BPA-free, food-grade materials and is absolutely safe for your kid. It is very easy to clean and is dishwasher-safe. This children-friendly bowl is ideal to use at home and even in the car. It has a lid, which makes it perfect even for a take away meal for the kindergarten. The anti-spill bowl will challenge your kid, help them develop their fine motoric skills and make your life much easier. A baby chair is an item that makes feeding not only easier but also safer and let’s face it possible. If you are looking for another option, then the portable baby chair pouch is the right product for you. Made of 100% cotton, the pouch is suitable for kids up to 20 kg. You can easily attach it to any given chair, car seat or even to yourself. Thus, the pouch can be used as a sling to carry your baby around or simply to feed them. The high quality and durability of the material guarantee your baby’s comfort and safety at any time. The pouch is easy to fold and doesn’t take much space (you can literally fit it in your handbag) so you can take it with you when going on a holiday, visiting friends or relatives or when dining outside. The pouch is offered in 8 great colors – blue, black, green, orange, purple, pink, red, and yellow, so all you need to do is choose the one you love and get this item right now. Washing hands is an essential skill that kids need to learn. As children love to play with water, this task is quite fun for them as long as they can reach it. With our cute animal faucet extender, washing hands is easier than ever. It is easy to attach it to almost any standard tap and thus it extends the spigot’s stream. Now kids can wash their hands, without having to summon you up to the bathroom. Parents no longer need to lift their growing toddlers so that they can reach the faucet. The animal faucet extender is made by BPA, PVC and phthalate-free materials and is absolutely safe for the kids. It is also dishwasher-safe and because of its compact size, you can take it with you anywhere you go. This ingenious faucet extender comes in several bright colors and can be shaped like a duck, elephant or dolphin. Choose the favorite animal of your kid and make handwashing as simple as a game. Bath time can be yet another challenge for parents. While most of the kids love spending time in water, some are quite reluctant to enter the bathroom. 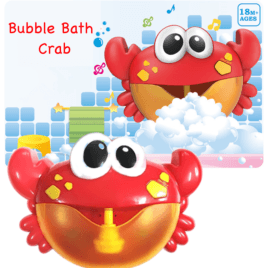 The bubble bath crab is a wonderful item that can catch your kid’s attention while bathing. It is a bubble machine that is designed as a cute crab. It attaches to every flat surface by means of three suction cups and can be easily removed afterwards. All you need to do is fill the lower body of the crab with bath cream, soap or foam and mix it with some water. This automatic soap bubble maker comes with 12 nursery songs built in, which makes bathing time even more entertaining for kids. It also stimulates your kid’s sense of hearing and helps them associate bath time with fun and relaxation. The bubble bath crab is made of non-toxic and child-friendly ABS material. You can clean the machine within seconds and it will be ready to use it again and again. Taking proper care of your baby’s gums and teeth is important for their overall health. Quite often, your kids will wash their teeth only because you push them to do it and constantly monitor their performance. You can make dental care fun for your kids by using the Minions toothpaste dispenser. This cute automatic toothpaste dispenser serves several purposes in one time: saves toothpaste, avoids messes and reduces the discussion before bedtime. Once the kids discover the funnier part of brushing their teeth, you can rest assured that you have made your best in the aspect of oral hygiene. The automatic dispenser is easy to clean and it saves space as it can stick to your bathroom wall. It is also a cute toothbrush holder. Going out for a walk with the stroller can be much funnier with a cup of your favorite hot beverage – coffee, tea, milk. Holding a coffee mug, however, is not very comfortable while pushing a stroller. So, in order to have your hands free but still enjoy a sip, you need a stroller cup holder. While not novelty on the market, this item can be a life-saver for parents who need to take long walks and cannot stop for a cup of coffee. You can strap the cup holder to any stroller or pram and be sure that it will hold. In addition to your coffee mug, it can also accommodate your wallet and/or cell phone, so you have your hands free and your essential gadgets handy. Any parent knows that a walk with the kid means that you should be equipped with a great number of items to meet the needs of your kid – toys, cups, food or milk containers are just a few to mention. At the same time, you need to keep both of your hands on the stroller to ensure the safety of your child. The best way to achieve that is by getting some baby stroller hook clips that you can attach to the stroller. They can hold a diaper bag, purse, and even a piece of clothing. You can easily navigate with the stroller while having the essentials handy whenever your baby needs them. The hook clips can be attached to a baby stroller, garage hanging, rollator drive, walker, and wheelchair and help you store more stuff than usual without even noticing it. As you can see, these 11 unusual baby supplies can ease your life and make your kids happy. 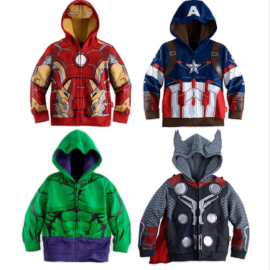 You can also have a look at the full range of kid items that we offer on our site.